Rediff.com » News » Jana Gana Mana was NOT sung in praise of the English king! July 2015: Rajasthan Governor Kalyan Singh, while addressing the 26th convocation ceremony at Rajasthan University, says the national anthem should be amended and the words adhinayak jai ho removed. One hundred and four years after it was first written, and 76 years after the poet's clarification, the controversy surrounding Rabindranath Tagore's Jana Gana Mana refuses to go away. Is it true then that each time we sing the national anthem we, in fact, pay homage to the then British emperor George V? This is a very old controversy. It came up during Rabindranath Tagore's lifetime and he answered the question himself. (Tagore in a letter on November 10, 1937 to the bibliographer, editor and annotator of his works, wrote, 'A certain high official in His Majesty's service, who was also my friend, had requested that I write a song of felicitation towards the Emperor. The request simply amazed me. It caused a great stir in my heart. In response to that great mental turmoil, I pronounced the victory in Jana Gana Mana of that Bhagya Vidhata (God of Destiny) of India who has from age after age held steadfast the reins of India's chariot through rise and fall, through the straight path and the curved. The controversy should have ended there. 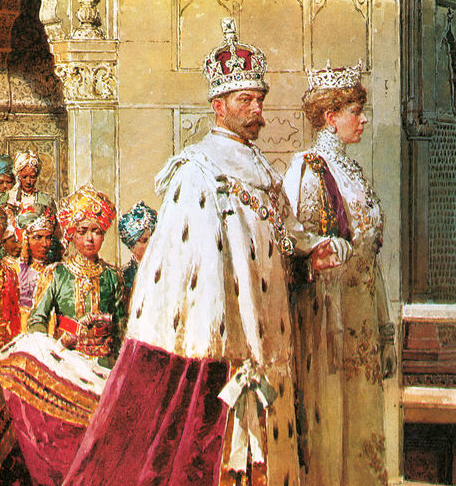 Yes, George V, who was king emperor of India was visiting India in 1911 for the Delhi Durbar. And yes, the song was sung on the occasion. But to say that the words paid tribute to King George V and Queen Mary is ridiculous. Tagore was just not the kind of person to have penned lines like these for the throne of England. You should get your answer from this: Tagore relinquished his knighthood after the Jallianwalla Bagh massacre in 1919. He could never have been reverent of the British crown, and he was deeply hurt at the English press in India for saying his poem was written in praise of the crown. He considered it slander. So, the lines adhinayak and Bharata Bhagya Vidhata did not mean the king of England nor is it sung in praise of the king. Of course not! It would be sacrilege to say that! If you are saying that the poem pays tribute to George V, no way! Tagore was totally opposed to British rule, especially after Jallianwalla Bagh. Tagore wrote a song, not for George V, but a song devoted to the 'dispenser of human destiny' -- Bharata bhagya vidhata -- God. The person in whose hands lies the destiny of this nation. Tagore, if you read all the five paras of the anthem, said it is vidhata who will show the way forward for India, who will light the way for India and its people. He did not mean idolatry, but a supreme being alluded to in the Upanishads. And then there is another theory that in the poem from the Nobel Prize-winning Gitanjali, 'Where the mind is without fear..., the 'father' in the line 'child is father of the man' refers to the British crown. Downright rubbish! Chitto Jetha Bhoyshunyo (Where the mind is without fear) was published in 1910 and it was Tagore's dream of how a new awakened India should be. Tagore was not pro-British. And he definitely did not pay tribute to royalty or imperialism. These conspiracy theories should be put to rest once and for all. If Tagore wasn't an imperialist, why did he accept the Nobel Prize for literature in 1913? Yes, a lot of people at the time were critical that he accepted the Nobel and he wrote E monihar amay nahi saje (This bejewelled necklace doesn't suit me) in the context of the Nobel Prize and not the knighthood as is commonly believed.. But, of course, he went ahead and accepted the Nobel. It was a huge honour and it was given by the Norwegian government, not by imperialist England, so his conscience allowed him to accept it. He wouldn't be Rabindranath without the Nobel, would he? Do you know Thomas Hardy missed out on the Nobel because of Tagore? Tagore was recommended by William Butler Yeats who got the Nobel 10 years later. So, would you call him a nationalist? Most certainly. He was nationalist, both by thought and deed. And he was pragmatic about it. On the one hand you have a man who relinquished a knighthood, and on the other there is a man who wrote Ghare Baire (The Home and the World, adapted by Satyajit Ray in a film of the same name). 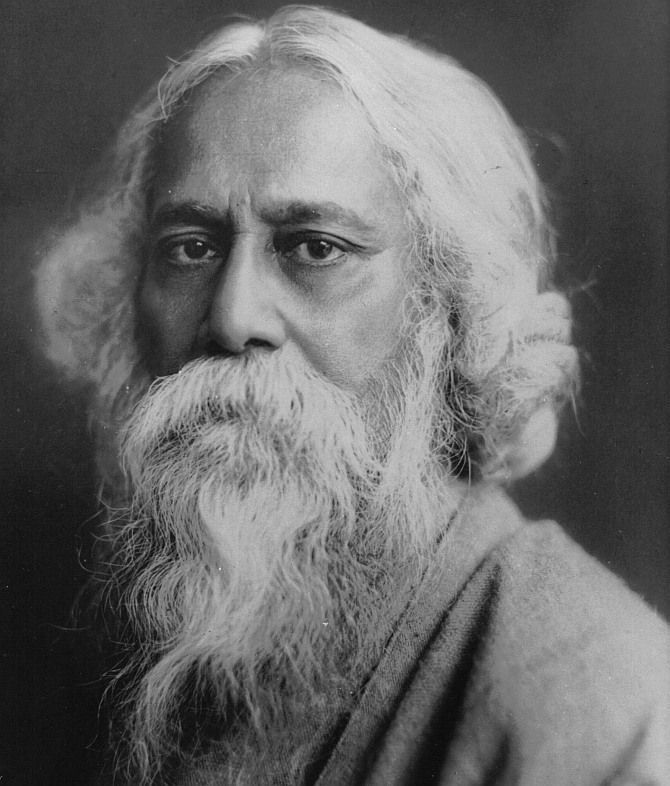 Tagore took a nuanced look at the Swadeshi movement and pointed out the mistakes of nationalism. He said rejecting foreign goods alone is not nationalism. Nationalism is much bigger. He said not rejection, but acceptance of values and beliefs, and acceptance of each other, is nationalism. Yes, he did not necessarily see eye-to-eye with Mahatma Gandhi. He was more supportive of Netaji Subhas Chandra Bose. Is there a sudden renewed interest in Tagore with the BJP government? Prime Minister Narendra Modi has paid homage to Tagore in various speeches and the poet's bust was recently inaugurated in Tajikistan. I don't want to make a political statement, but remember that this BJP government made completely false statements against Jawaharlal Nehru and then withdrew it later. A writer can be the flavour of the season and be rejected soon after. I don't attach any importance to it. So long as the Bengali language lives, Tagore will live, his songs will be sung. Never ever has there been such a great poet, a man who wrote 2,000 songs and set them to music, in any language. And these songs are being sung every day, at least in Bengal. He is our oxygen. We breathe Tagore here (in Bengal). No one can every replace him, that's for sure. His body of work defines what we call culture -- the manifestations of human intellectual achievement. Yet, I don't think Tagore has been accepted universally, because he has not been translated well. So people will not understand his sentiments in poor translations. Why just Tagore, why not Jibanananda Das? He was a great poet, but he is not known outside Bengal. How about Bibhuti Bhushan Bandopadhyay (author of Pather Panchali, which Satyajit Ray made into a memorable film and trilogy), he is not known outside Bengal. Never forget that the underlying message of the Jana Gana Mana is pluralism. It is inclusion. That is his legacy.